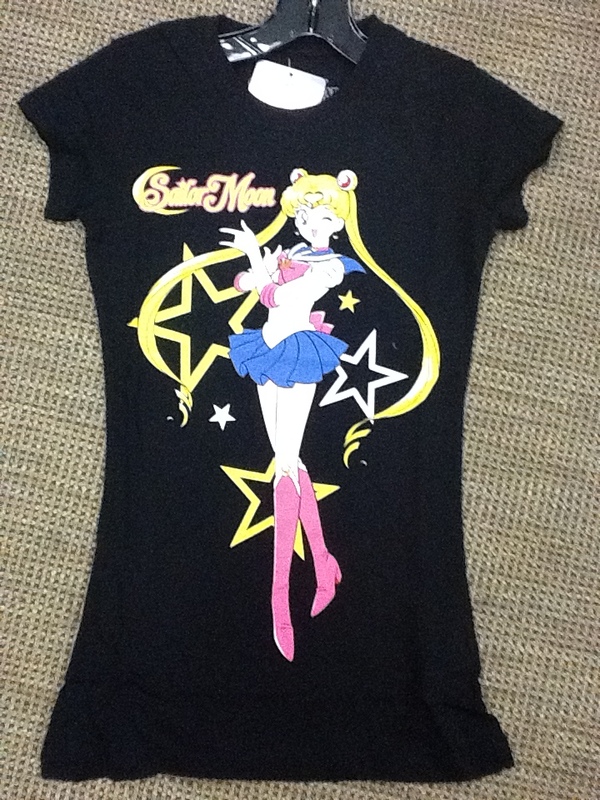 Mexican Sailor Moon fans are about to get a lot more Sailor Moon merchandise their way! Toei Animation Inc. announced some new Latin American deals for several of their properties. While there are no toys listed at this moment for Sailor Moon, there has been a licensing deal made with Doobalo S.a.de C.v. to make Sailor Moon socks. Does anyone else in North America feel like importing these and squeezing their feet into them to relive their childhoods? Also, thanks to facebook fan Jose Juan Hernandez for pointing us to this Sailor Moon teaser on Towers Entertainment’s website! The caption reads: “Coming Soon Special Edition on DVD Sailor Moon” Gotta love that brand new logo for the international revival. Speaking of new logos, Toei Animation Europe finally announced the return of Sailor Moon to Germany on their site, and posted one of our new favorite promotional images in the article which we have reposted above. Toei Animation Inc. of Los Angeles launched three new series on Crunchyroll last week – Digimon Tamers, Interlude and Gaiking: Legend Of Daiku-Maryu. Free users will be able to watch 5 consecutive episodes of Digimon Tamers, and Gaiking: Legend of Daiku Maryu as they are posted each week, and one episode of Interlude per week until they are completed. All episodes are subtitled in English. It’s a little sad that the dub of Interlude is not up as it featured many stars of the English dub of Sailor Moon (and it was well done because Optimum Productions was not involved). Toei Animation has also launched the well-loved Toriko on Funimation.com and Hulu. And on a sad note (but who didn’t see this one coming), Tokyopop announced last week that it was ending all publishing operations in North America. Though their translation and release of Sailor Moon was sub-par, we fans will always remember them for introducing us to the manga for the very first time. It is sad to see them go, but at the same time this day might not have come if they’d have improved their release quality. BREAKING NEWS: Brazil Puts Up A Good Fight, But A New Dub Wasn’t Meant to Be. We want to start this article by first of all congratulating SOS Brazil for all their hard work. We understand your struggles completely because we have been there (and still are). But please don’t view this as a fight you lost! You should be proud of everything you were able to do with your surveys – besides, the other parts of your survey will probably be a help when it comes to other aspects of the revival. We are proud of what you were able to accomplish, and we are sending you big Moonie hugs and lots of love from North America. Save our Sailors Brazil reported the sad news yesterday that after a long and lengthy crusade to get a redub of Sailor Moon, it was not meant to be. A statement posted to their site from Márcio S. Reginnette, a representative of Brazil’s CD & DVD Factory, states that a redub of Sailor Moon S is not authorized because Naoko Takeuchi has not approved of any redubbing in any language. The same request was made in Italy as well, and was also denied. 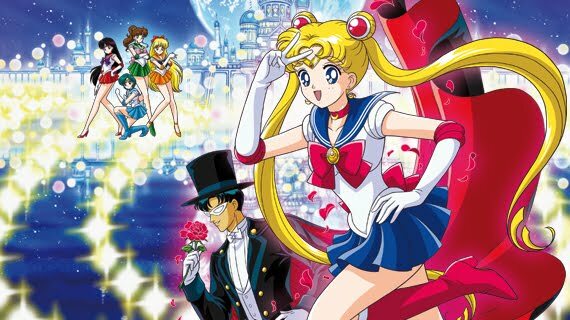 The statement also makes mention that Toei Animation does not have any exclusivity over the franchise, and prior approval has to be obtained by Naoko Takeuchi. There is also an excellent response to these developments posted over at Papo de Budega. From what we know, the anime and manga are a sort of “co-agreement” between Naoko Takeuchi and the companies involved. 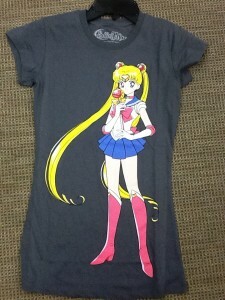 Fans probably also notice that Naoko Takeuchi’s name is on every piece of Sailor Moon merchandise coming out their way these days. 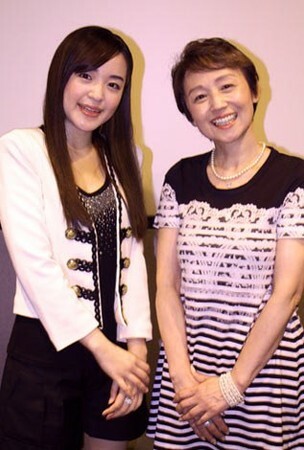 With the manga, Kodansha has the rights to publish it, but only after obtaining Naoko Takeuchi’s permission. But at the same time, she cannot hold it back. The same deal goes with the anime and Toei Animation as well. We do not know how many years that this current co-agreement is going to last, but that if matters regarding Sailor Moon do not go smoothly, they could be pulled away at any time. While we understand fans’ anger, sadness, and frustration over this turn of events, please don’t be mad at Naoko Takeuchi. For all we know, the time frame for Sailor Moon’s return could be really short, and she may not like the idea of a redub keeping the series away from fans in an already shortened timeframe. Or, perhaps she likes everything the way it is and doesn’t want to change things too much. We are disgruntled too, as this leaves the fate of an English release of Sailor Stars up in the air, but at the same time we are thankful to have the Sailor Moon manga back (and hopefully soon, the anime). Once again, huge hugs from Moon Chase to Save Our Sailors Brazil and everything they have worked so hard for. Keep up the strength, although your release has had it’s turmoils (starting with Season 3), you have done a lot for the fandom and we are sure every one of your readers thanks you for that! For fans who want a little more detail on the ins and outs of the Brazilian revival, check out this interview in January with CD + DVD Factory’s Márcio S. Reginnette. BREAKING NEWS: DVD Releases for Brazil and Mexico! Hey Moonies! The Sailor Moon Licensing News train is showing no signs of slowing down! A new press release confirms new Latin American licensing deals from Toei Animation Inc. of Los Angeles. Brazil’s “little known” CD & DVD Factory as well as Mexico’s Towers Entertainment are both set to release the series on DVD. As of this writing, there are no merchandise deals being announced, however if you are a fan of DragonBall and Saint Seiya, we recommend reading the rest of the release here if you would like to learn of DVD and merchandise releases in Latin America. Toei is also predicted to have a much higher annual dividend this year than originally forecast. Enhorabuena a Mexico y Brasil! Viva la Sailormoon! Lima Fans Get a Triple Shot of Sailor Moon at Otakufest! This past weekend marked Lima, Peru’s biggest anime convention, Otakufest. Fans of Sailor Moon were treated to not one, but three voice actors from the Mexican/Latin American dub of Sailor Moon! Patricia Acevedo (Sailor Moon), Cristina Hernandez (Sailor ChibiMoon) and Rossy Aguirre (Sailor Mercury). For the first time ever, the three of them were together at a special panel on October 31st. Fans may also be surprised that within these three lies an even bigger connection from Sailor Moon to The Simpsons other than that famous opening from just a few years ago . Patricia played Lisa Simpson from 1990-2005, but was fired from the series due to the dubbing studio’s policy on union actors at the end of the 15th season. Patricia did dub that particular episode, and this also makes her the only actress to have been in both Sailor Moon and that episode of The Simpsons parodying our hero! If any of our readers were able to attend Otakufest, please share with us what happened!